In researching the song THE SOUND OF SILENCE, I found this Wikipedia article and found it interesting enough to quote it wholesale. I learned a tremendous amount about this song that I never knew before. 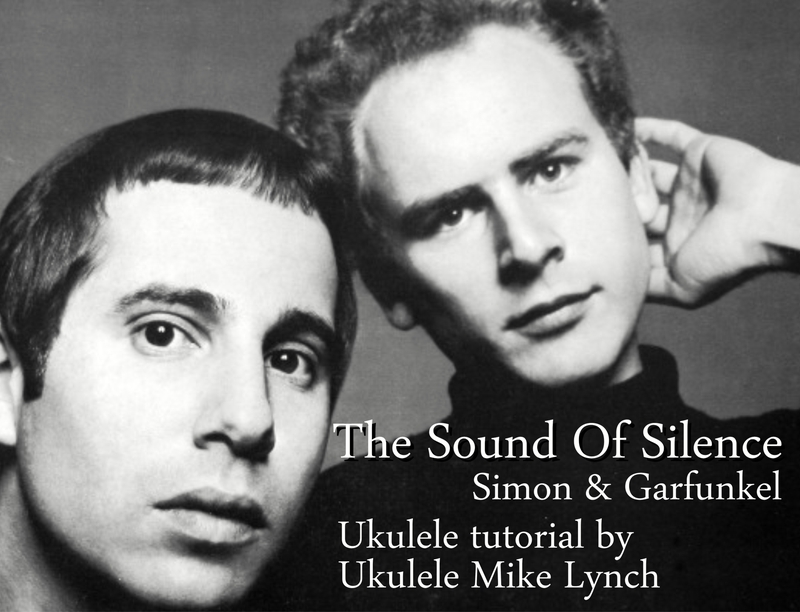 “The Sound of Silence” is a song by singer-songwriter duo Simon & Garfunkel. Written in February 1964 by Paul Simon in the aftermath of the 1963 assassination of John F. Kennedy, the song propelled the group to mainstream popularity. An initial version preferred by the band was remixed and sweetened, and has become known as “the quintessential folk rock release”. In the U.S., it was the duo’s second most popular hit after “Bridge Over Troubled Water”. The song features Simon on acoustic guitar and both singing. It was originally recorded as an acoustic piece for their first album Wednesday Morning, 3 A.M. in 1964 but on the initiative of the record company’s producer, Tom Wilson, it was later overdubbed with drums, electric bass and electric guitar, all without the knowledge or participation of Simon & Garfunkel and rereleased as a single in September 1965. The single reached number one on New Year’s Day 1966 and was included in the 1966 album Sounds of Silence. “The Sound of Silence” was originally called “The Sounds of Silence” and is titled that way on the early albums in which it appeared and on the first single release; only on later compilations was it retitled “The Sound of Silence”. Both the singular and the plural appear in the lyrics. In his book Lyrics 1964–2008, Simon has the title in the singular. Simon showed the new composition to Art Garfunkel the same day, and shortly afterward, the duo began to perform it at folk clubs in New York. In the liner notes of their debut album, Wednesday Morning, 3 A.M., Garfunkel claims: “‘The Sound of Silence’ is a major work. We were looking for a song on a larger scale, but this is more than either of us expected.” The duo recorded it for the first time on March 10, and included the track on Wednesday Morning, 3 A.M., which was released that October. The album flopped upon its release, and the duo split up, with Simon going to England for much of 1965, partnering up with singer-songwriter Bruce Woodley of The Seekers. There, he often performed the song solo in folk clubs and recorded it for a second time on his solo LP, The Paul Simon Songbook, in May 1965. In the meantime, Simon and Garfunkel’s producer at Columbia Records, Tom Wilson, had learned that the song had begun to receive airplay on radio stations in Boston, Massachusetts, and around Gainesville and Cocoa Beach, Florida. On June 15, 1965, immediately after the recording session of Bob Dylan’s “Like a Rolling Stone”, Wilson took the original acoustically instrumented track of Simon & Garfunkel’s 1964 version, and overdubbed the recording with electric guitar (played by Al Gorgoni and Vinnie Bell), electric bass (Joe Mack), and drums (Buddy Salzman), and released it as a single without consulting Simon or Garfunkel. The lack of consultation with Simon and Garfunkel on Wilson’s remix was because, although still contracted to Columbia Records at the time, the musical duo at that time was no longer a “working entity”. Roy Halee was the recording engineer, who, in spirit with the success of The Byrds and their success formula in folk rock, introduced an echo chamber effect into the song. Al Gorgoni later would reflect that this echo effect worked well on the finished recording, but would dislike the electric guitar work they superimposed onto the original acoustic piece. For the B-side, Wilson used an unreleased track he cut with the duo a few months earlier, on which they had tried out a more “contemporary” sound. The record single “Sounds of Silence”/”We’ve Got a Groovey Thing Going” entered the U.S. pop charts in September 1965 and slowly began its ascent. In the first issue of Crawdaddy! magazine, January 30, 1966, Paul Williams, in reviewing the later album, wrote that he liked this B-side song which he found pure “rock and roll”, “catchy”, with a “fascinating beat and melody” and great harmony. Simon learned that it had entered the charts minutes before he went on stage to perform at a club in Copenhagen, and in the later fall of 1965 he returned to the U.S. By the end of 1965 and the first few weeks of 1966, the song reached number one on the U.S. charts. Simon and Garfunkel then reunited as a musical act, and included the song as the title track of their next album, Sounds of Silence, hastily recorded in December 1965 and released in January 1966 to capitalize on their success. The song propelled them to stardom and, together with two other top-five (in the U.S.) hits in the summer of 1966, “I Am a Rock” and “Homeward Bound,” ensured the duo’s fame. In 1999, BMI named “The Sound of Silence” as the 18th-most performed song of the 20th century. In 2004, it was ranked #156 on Rolling Stone’s list of the 500 Greatest Songs of All Time, one of the duo’s three songs on the list. When director Mike Nichols and Sam O’Steen were editing the film The Graduate, they initially timed some scenes to this song with the intention of substituting original music for the scenes. However, they eventually concluded that the song could not be adequately substituted and decided to purchase the rights for the song for the soundtrack. This was an unusual decision for the time, as the song had charted over a year earlier and recycling established music for film was not commonly done. However, the film’s executive producer, Joseph E. Levine, approved of the creative decision. Nichols commissioned Simon and Garfunkel to compose additional original music for the film. With the practice of using well known songs for films becoming commonplace, “The Sound of Silence” has since been used for other films, such as Kingpin in 1996, Old School in 2003, and Watchmen in 2009. It appeared on the fourth season of the television series Arrested Development in 2013. On March 21, 2013, the song was added to the National Recording Registry in the Library of Congress for long-term preservation. I chose a fingerpicking pattern and a strumming pattern for this song. Middle plays the 1st string. energy and interest to the pattern. You will clearly hear it in the video. I played the entire video on the newly released Ukulele Mike “Signature” tenor from Oscar Schmidt. I’m using a Low G tuning but it sounds equally well on a standard High G.
Looking for a large library of excellent Chord/Melody arrangements for the Ukulele? . . . . . Look no further . . . . Announcing the “QUARTET” from Ukulele Mike Lynch . . . . Now reduced to $20 each or $70 For the entire collection . . . . Or $90 for the QUINTET of all 5 collections.